Could Lianie May's guess help you win the R100K Secret Sound? Popular South African artist, Lianie May tried her hand at guessing Martin and Tumi's R100K Secret Sound. Could she be onto something? Martin and Tumi's R100K Secret Sound has been the talk of the town, with many trying to guess the sound every day. Unfortunately, no one has managed to correctly guess the sound, which means there's still a chance for you to bag the cash. 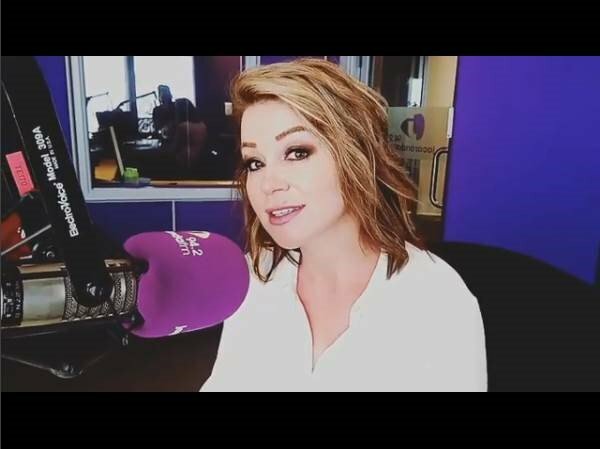 Breakfast Show hosts Martin Bester and Tumi Morake were joined by singer and songwriter Lianie May, who couldn't help but try to guess the sound that's taken over the whole of Gauteng. Sorry, Lianie. That is unfortunately not the correct answer. Do you think you know what their secret sound is?